This is a very popular activity among the international summer camp groups. 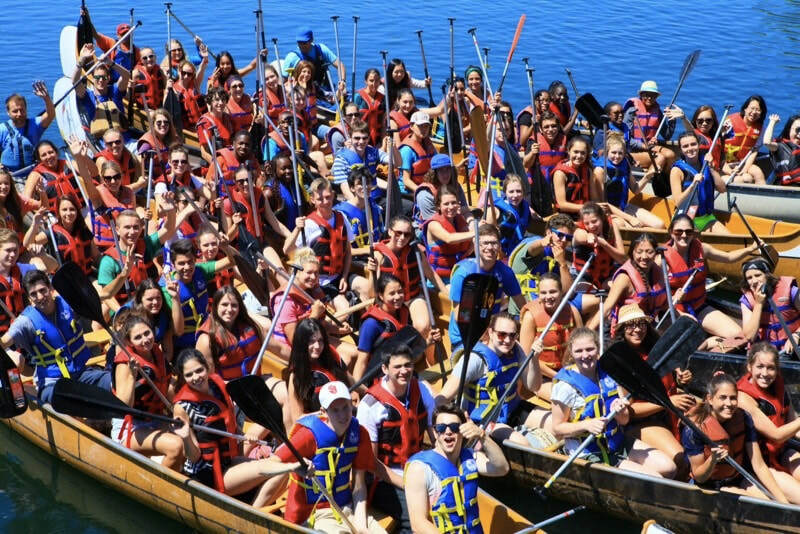 To race these canoes, you absolutely don't need to have any previous experience. 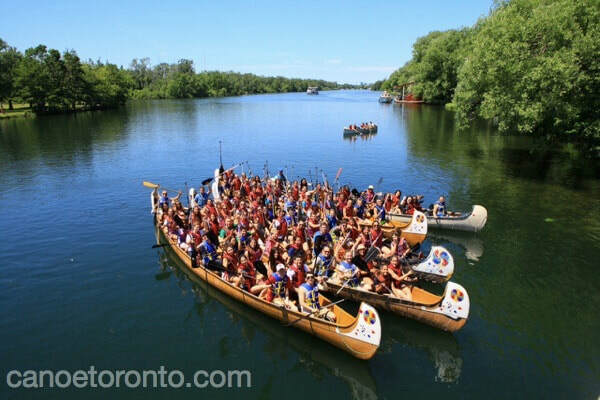 Race the Voyageur Canoes at the Toronto Islands. A team of 19, plus the instructor, is sure to make a splash and a lot of noise. 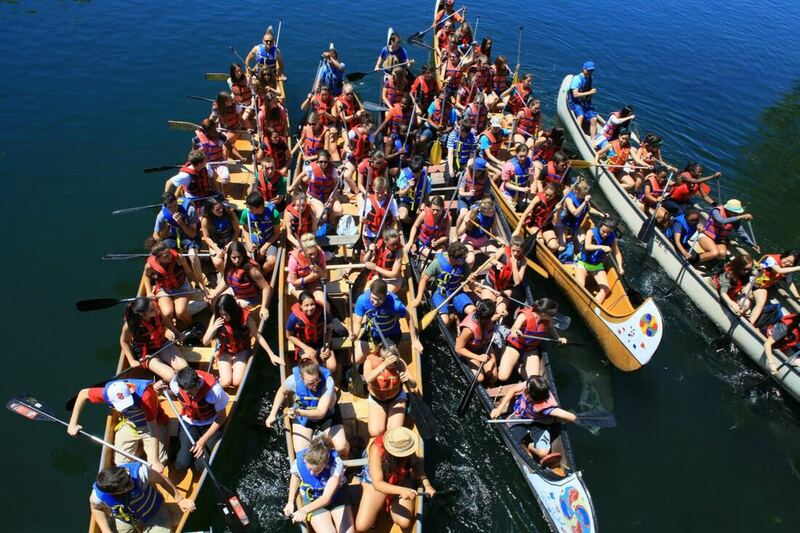 This is a spectacular site, watching almost 100 people paddling four big canoes.